You're a talented SEO with a savvy team... sometimes, of just one ;). You know what to do. 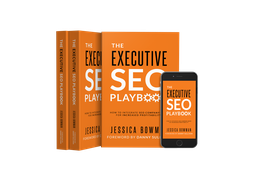 Maybe you've even read The Executive SEO Playbook and it's helped start productive conversations with the right managers. But so far, you're just getting head nods and nothing is quite getting DONE. You know once the right changes get off the ground, you'll be able to facilitate the flight and make your organization an SEO Force to Reckon With (or F2R organization, as we like to call it). Let us be the fresh voice and outside perspective that helps galvanize your organization towards the proactive SEO you know you can do. We know it's not a one size fits all. We'll get to know you, and to the root of what your organization needs to create a customized recipe that fits your budget and requirements. Possible ingredients include - coaching, training, coming onsite for a jump start, an organization assessment... combined to fit your taste. Great messaging makes you a top choice, Uniqify makes you the *only* choice because you create gaps the competition cannot fill. With Uniqify we analyze the F2R way... we look not only at the marketplace, but your operations to understand what would truly make you the *only* choice for prospects. Uniqify your brand, features, products, and more. How does this relate to SEO? It's Pillar 6 (User Experience) in the F2R Framework. We want you to be soooo unique that you captivate them and they never leave. ...do you really know how you stand in each? 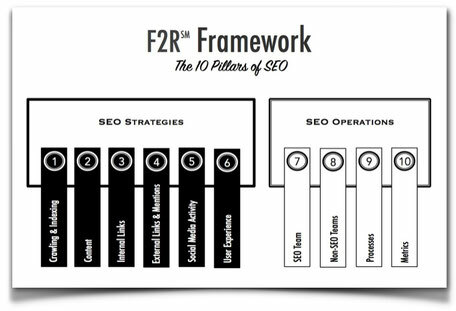 Using the 10 Pillars of SEO in the F2R Framework and Methodology, learn what's holding you back, what you're doing well... and what to do next! Every project has someone with 10+ years in involved, so you get senior level recommendations and troubleshooting. 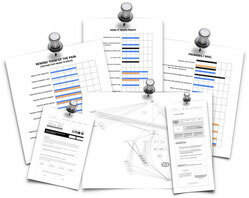 We know documents have legs... so ours are designed to speak clearly across teams without narration. It's not a brief PowerPoint deck. Copy Paste Requirements - just send to development. And you're done. All of the F2R SEO Online Training can be delivered as live workshops. Sure, you could do it yourself... but will you? You're busy chasing projects and putting out fires. Together we can deliver effective training that will get you out of the firefighter's role.